Companies—especially large internet companies—treat collections of data as an asset. And more and more companies are developing an appetite to leverage their data to compete. There are also increasing customer expectations for the fast release of high-quality products or services. So how do you balance speed and quality? DataOps is your answer. Let’s take a look at what DataOps is and why it matters. The term DataOps is an abbreviation of the words data operations. The speed of development and product release has decreased in the last 10 years due to technologies such as DevOps (development operations). As a result, we have a new problem: data and more data. To help draw insight from loads of raw data, companies use data analytics. Of course, there are various types, such as data mining, that help identify trends, patterns, and relationships in large data sets. Unfortunately, in our need-it-now economy, users of data analytics can’t—or won’t—wait for weeks or months to receive new analytics. With the increased complexity of the emerging data ecosystem and the need to deliver insights more quickly, a new strategy is essential if we’re to gain value from massive amounts of data. This is where DataOps comes in. It helps improve the delivery speed and robustness of analytics. In other words, DataOps is an automated, process-oriented methodology that helps analytics and data teams improve the quality of data analytics, as well as reduce its cycle time. To achieve this, DataOps combines agile development, DevOps, and statistical process control. 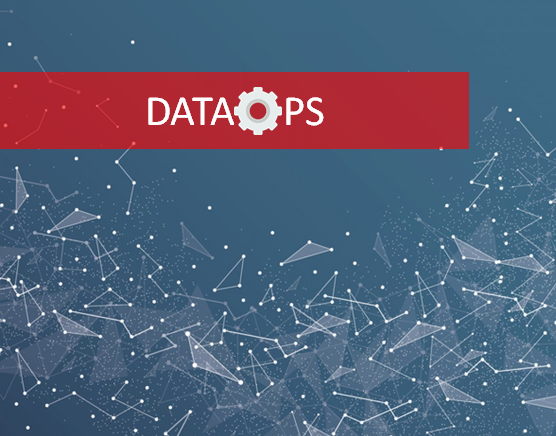 Similar to how DevOps brought together development and operations teams to handle software delivery problems, DataOps seeks to bring together data practitioners to deliver quality data for applications and business processes. But do we really need another methodology? In our current on-demand economy, a company has to rely on data from various sources to better understand their products, customers, and markets. This all sounds good until you factor in the dynamic nature of data. How do you effectively monitor the flow of a company’s data that includes prediction changes, business anomalies, trend changes, and more? Or a lack of coordination between the involved parties, such as IT, operations, and even business stakeholders. In the end, we have poor-quality data that’s delivered too late to meet a business’s needs. As more and more data is collected, the data pipelines become more complex. At the same time, large, more traditional enterprises realize the need to use all the data their company generates. Such information is becoming important even in everyday decisions. Needless to say, all of these factors make it necessary for an organization to implement a new approach to govern the flow of data through its life cycle. And here’s one more reason to consider using DataOps. Companies that have already implemented DevOps practices will find that implementing DataOps gives them a higher competitive edge. This is because the DevOps engineering framework may be regarded as preparation for DataOps. Organizations that rely on data need a similar high-quality and consistent framework that’s useful for fast data analysis. DataOps is still a rising approach for data-driven organizations. DataKitchen, a company that developed a DataOps platform for data-driven enterprises, suggests seven steps for implementation. And the good news is you don’t have to discard your existing analytics tools. Here are the seven steps to implementing DataOps. This step requires that every time you make changes to an analytics pipeline, you have to add a test for the change. Testing applies to data, models, and logic. The idea is to make sure nothing will be broken in the analytics pipeline. These incremental, automated tests ensure that quality and integrity are built into the final output. In order for raw data to produce useful information, it goes through many processing steps. And all of these steps involve coding. In a similar manner to other software projects, the source files that data analysts use in the data pipeline require maintenance in a version control system such as Git. The aim of version control is to help keep track of changes and revisions. Keeping the code in a repository is also important, as it helps when there is a need for disaster recovery. To maintain coding changes, data analytics should borrow the approach that software developers use to maintain their projects, which is to continuously update code source files. For instance, when a developer wishes to make changes, they pull out the relevant code from the repository. Changes are then made on the local copy (also called a branch) pulled from the repository. Once new changes are made and tested, the local copy (branch) is merged back into the repository. Data analytics team members should have their own environment to work from. These environments will allow team members to work on subsets of data while isolating the rest of the organization from any effects of the ongoing maintenance or additions to the existing data. Breaking down a data analytics pipeline into smaller components facilitates code reuse and containerization. By doing this, the data analytics team can move quickly as they leverage existing libraries or other code whenever they want to extend or develop new code. Borrowing the idea of parameters from software development will help in designing a robust data pipeline. And a flexible data-analytics pipeline will accommodate varying run-time circumstances. Simple storage helps make the whole data analytics pipeline readily available, and it eases the updating process. There’s a lot of concern about how to gain insights from raw data in a robust yet fast manner. But we shouldn’t forget the consequences of data breaches across the globe. The costs you may incur for mishandling personally identifiable data is becoming too expensive. As you work toward building more and delivering faster, it’s important to consider the security of the data you handle. When implementing DataOps, you must protect the data at every stage of its journey. Always keep in mind the bad guys who are ready to grab your data. And don’t forget the issue of accidentally sharing sensitive data that may cause you to fail to meet regulatory compliance. Thankfully, there are solutions that help take these worries away, such as Data HotSpot—a product specifically designed for those in test data management and those who consume test data. With Data HotSpot, you are assured complete security, customer protection, brand protection, and penalty avoidance. That means you can implement DataOps and stay way ahead of your competitors with real-time or near real-time analytics. Today, there’s a need to avail data in real-time or near real-time because businesses rely on it to retain a competitive edge. As a result, it became necessary to create analytics methods that can quickly provide data for consumption by users or applications. DataOps is a multidisciplinary approach that helps data analytics teams overcome the challenges of inflexible and poor-quality data. If an organization can implement DataOps properly, they will experience great improvements in producing robust and adaptive analytics. As we’ve seen, DataOps matters today because it helps organizations create reliable and readily available data flows. And availability plays an important role in unlocking the value of an organization’s data. This post was written by Alice Njenga. Alice's areas of expertise include technology, artificial intelligence, IoT, cloud computing, security, and telecommunication. She especially enjoys converting dense technical material to articles that are easy for the layman to understand.